"Our Family" Keepsake Album Giveaway - Enter to Win! 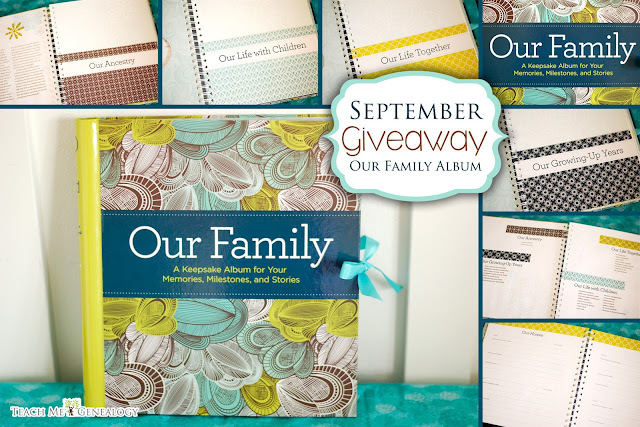 ENTER TO WIN: "OUR FAMILY" Keepsake & Family History Album. Leave a comment about why your heritage is special to you. If you do all 3, your name gets entered 6 times; its' that easy. Do it Once a day!! A family record is more than of book of names, dates, and places. It is about the people who fill its pages—those whose life experiences create the story of a family, which can be passed down from generation to generation. Our Family History brings you a beautifully appointed space to capture the who, what, where, and when of your family and your ancestors—from birth of a great, great grandparent to the birth of the newest baby. This keepsake album, with ribbon closure, provides an opportunity to relay a firsthand account of your life in addition to the oral family history that is previously unrecorded; headings and prompts make it easy to record important thoughts and memories. You’ll also find sturdy, decorative photo frames, which are built into the album to feature heirloom photographs and pockets to store mementos from landmark events. A family tree is included to give a visual presentation of your ancestral background. This beautifully designed album, filled with your own personal reflections, will secure your family legacy and inform your family for years to come. I just entered, I hope I win this!! Ever since my grandfather and father in law passed I've been so much more interested in learning about our ancestors. I'd love to have information to give my daughters when they get older. 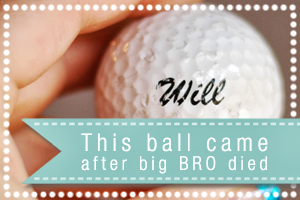 I felt the same way after my oldest brother passed away. My brother Will was the reason I started doing our Family History. If you need any help getting started please don't hesitate to ask. You can start with my "start today" tab at the top. That will direct you to getting started. Any further assistance, you can contact me through the blog or my email above under the contact tab. i've just started researching both my husband's and my family histories. this looks interesting, i'd like to have a chance to look at and use it. Good for you for doing the research on your husband's side and your side. Research has always been my favorite part of genealogy. It's like hunting for a lost treasure, and finding it :) Have fun in your research, and thanks for entering. I haven't gotten into research too much yet. All the family history I have is work done by my aunts & cousin. 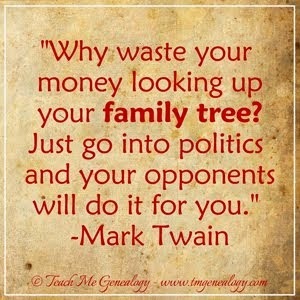 But I have 8 different family histories...some that do need research done. Once you start the research, you'll be hooked and these stories and names become real people. 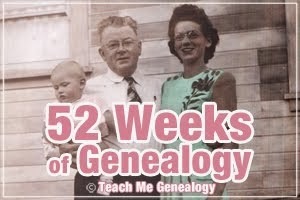 There are so many great sites out there for research, but I would start with www.familysearch.org (free). I have a list of my top 10 websites to use under my start now, getting started tips. Good luck, and keep me posted. I want to learn about my husband's family, as there are lots of questions no one alive can answer. I know how you feel. That was the same situation with my own family. However, I found many of my questions answered in my research. Actual events of our ancestors have been preserved and we can access them with a little work. Also, try doing a search on Facebook for distant relatives. 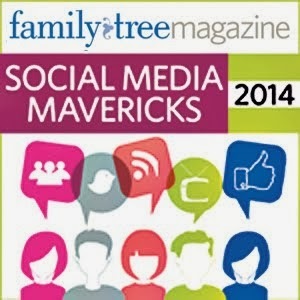 That way you can share, stories, photos and family history. It was my distant cousins who helped me break through many brick walls. Let me know how it goes. My dad started our family history many years ago and is still doing it :-). I asked him a couple years ago to write down his stories that he was told when he was young. He's told me many over the years but memories get forgotten so I thought it a nice addition to put stories to the family history. I want to create something for my brothers and their kids so that they can see where they come from, and also for myself. It's a nice project that will give many pleasures. I agree. The stories will be a cherished addition to the Genealogy that your father has pieced together. Maybe you can put this together for a Christmas present. They will love it. Keep me posted.